Just as when you attended the “grand old school on the hill”, dedicated parents, faculty and administration work continually to maintain Leon High School’s mission of preparing young people for the future. They work in close partnership with members of the community who have themselves remained involved in preserving the rich traditions of Leon High School long after their graduation. 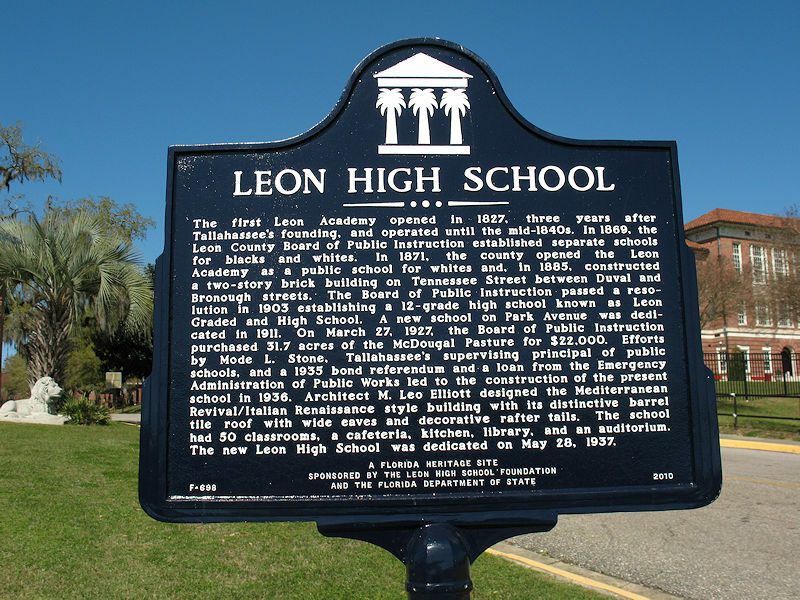 Relationships and heritage have helped build Leon into a flagship school in Florida, and it is what the Leon High School Alumni Association seeks to strengthen. The Alumni Association fosters connections between our alumni and the school through social, academic and promotional events. Additionally, the association will seek to serve as a means for connecting alumni with each other. Join us and be a part of helping to continue the Leon High School Tradition of excellence.